Then he ate half of it, and was converted. Deep-frying is now a Sign of Progress. 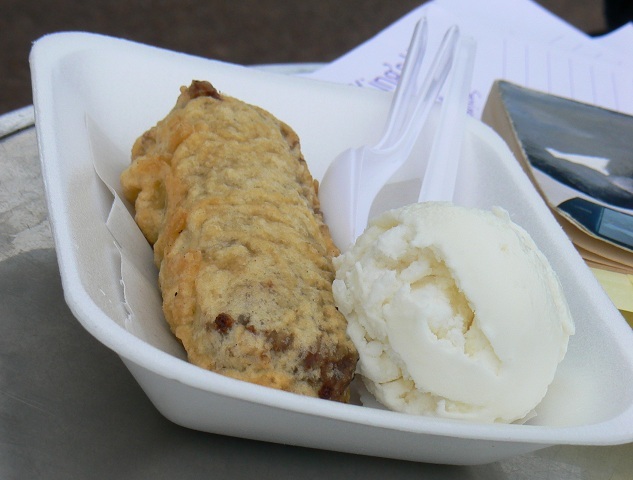 This entry was posted on January 27, 2013 by Sarah Irving in Britain, Edinburgh, Food and tagged beaches, calories, Deep-fried Mars bars, Edinburgh, food, lard, Portobello, Scotland.